All kinds of services to Krsna via the bona fide spiritual master must be made available at any time so that the people may be able to serve Krsna with love and devotion as described below in the original Bhagavad Gita As It Is. If one is intelligent, sincere, and devoted to the activities of devotional service then Krsna will give him the chance to make progress to go back home back to Godhead. If there are no services available for the people where they are then the people are obliged to create such services having the right to such services via a bona fide spiritual master’s instructions. The source intelligence of the bona fide spiritual master’s instructions come from his teachings not from the constant flux of mental speculation which is to be understood as unstable. Bona fide Vedic knowledge is never understood to be in flux it is understood to be in steadiness. With sufficient intelligence one can tell the difference between artificially derived intelligence and transcendentally derived intelligence. 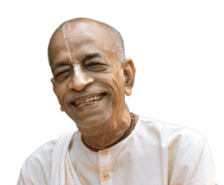 The author and commentator Srila Prabhupada states below that if one is not intelligent enough then Krsna from within will give him the needed instructions so that he can ultimately go to Him. Please see Ch. 10 Text 10 bottom of this posting. Artificial Intelligence or AI is not capable of this as it presently does not represent an understanding of even the basics of bhakti-yoga as presented in the original Bhagavad Gita As It Is. The purpose of intelligence is to understand Vedic knowledge. Modern societies do not need to interact or relate to AI because the living entity needs to understand Krsna the Supreme Personality of Godhead. AI is not providing that understanding, it is subject to constant flux because it has no knowledge of the field of activities as presented in Chapter 13 Nature, the Enjoyer, and Consciousness Text 6-7of the original Bhagavad Gita As It Is. Intelligence is created by God, Krsna as stated here in Chapter 10 The Opulence of the Absolute Texts 4-5. Everyone is allowed to understand what is intelligence and what is knowledge that is real freedom. By that understanding and freedom one can intelligently recognize who and what is a bona fide spiritual master while comprehending the knowledge that the bona fide source presents. Srila Prabhupada explains further what intelligence refers to in the opening of Texts 4-5 of Chapter 10 here below. “Intelligence refers to the power of analyzing things in proper perspective, and knowledge refers to understanding what is spirit and what is matter. Ordinary knowledge obtained by a university education pertains only to matter, and it is not accepted here as knowledge. Knowledge means knowing the distinction between spirit and matter. In modern education there is no knowledge about the spirit; they are simply taking care of the material elements and bodily needs. Therefore academic knowledge is not complete.” So we can understand here that AI or Artificial Intelligence is not accepted as a source of knowledge because it has no knowledge about the spirit so as a result we can see that AI is counter productive to a free society. Real Intelligence or RI is needed for a society to be able to free itself from the non permanent material field of activities. That Real Intelligence comes from recognizing bona fide intelligence sources and applying that real knowledge in a free and joyful manner. One persons intelligence source and that persons ability to apply said intelligence to apparent circumstances depends first on that persons ability to recognize the needs of the present. There are as many needs of the present as there are persons in the world. Not all people share the same environment, circumstances, bodies or mental capabilities. They all do share one common place and that place is as spiritual beings in direct relation to the Supreme Personality of Godhead Krsna. tesam—unto them; satata-yuktanam—always engaged; bhajatam—in devotional service; priti-purvakam—in loving ecstasy; dadami—I give; buddhi-yogam—real intelligence; tam—that; yena—by which; mam—unto Me; upayanti-come; te—they. In this verse the word buddhi-yogam is very significant. We may remember that in the Second Chapter the Lord, instructing Arjuna, said that He had spoken to him of many things and that He would instruct him in the way of buddhi-yoga. Now buddhi-yoga is explained. Buddhi-yogam itself is action in Krsna consciousness; that is the highest intelligence. Buddhi means intelligence, and yogam means mystic activities or mystic elevation. When one tries to go back home, back to Godhead, and takes fully to Krsna consciousness in devotional service, his action is called buddhi-yogam. In other words, buddhi-yogam is the process by which one gets out of the entanglement of this material world. The ultimate goal of progress is Krsna. People do not know this; therefore the association of devotees and a bona fide spiritual master are important. One should know that the goal is Krsna, and when the goal is assigned, then the path is slowly but progressively traversed, and the ultimate goal is achieved. When a person knows the goal of life but is addicted to the fruits of activities, he is acting in karma-yoga. 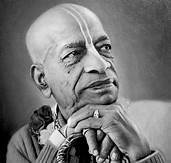 When he knows that the goal is Krsna, but he takes pleasure in mental speculations to understand Krsna, he is acting in jnana-yoga. And when he knows the goal and seeks Krsna completely in Krsna consciousness and devotional service, he is acting in bhakti-yoga, or buddhi-yoga, which is the complete yoga. This complete yoga is the highest perfectional stage of life. A person may have a bona fide spiritual master and may be attached to a spiritual organization, but still, if he is not intelligent enough to make progress, then Krsna from within gives him instructions so that he may ultimately come to Him without difficulty. The qualification is that a person always engage himself in Krsna consciousness and with love and devotion render all kinds of services. He should perform some sort of work for Krsna, and that work should be with love. If a devotee is intelligent enough, he will make progress on the path of self-realization. If one is sincere and devoted to the activities of devotional service, the Lord gives him a chance to make progress and ultimately attain to Him.